Still a good day for e-book bargains in women’s fiction (Colgan and Paul) – Joyce's mystery and fiction book reviews with some non-fiction too! 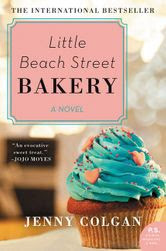 Little Beach Street Bakery-Jenny Colgan writes light, easy but enjoyable romance/comedy novels. This one is about starting over in a seaside community, baking, romance and, if I remember correctly, a puffin. 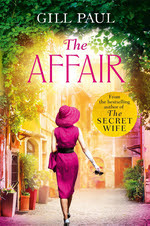 The Affair-This one is in my TBR pile. Gill Paul wrote a book that I blogged on that was about Wallis Simpson and her best friend, Mary. I thought that was well-written and fascinating. I hope that this one will be too. The Affair is about Taylor and Burton.